In The Zigzag Way, the critically acclaimed novelist Anita Desai offers a gorgeously nuanced story of expatriates and travelers adrift in an unfamiliar land. Eric, a young American historian, has come to Mexico on his first trip abroad. His search for his immigrant family’s roots brings him to a town in the Sierrra Madre, where a hundred years earlier Cornish miners toiled without relief. Here the suspiciously enigmatic Dona Vera, the fierce Austrian widow of a mining baron, has become a local legend, but her reputation for philanthropy glosses over a darker history. 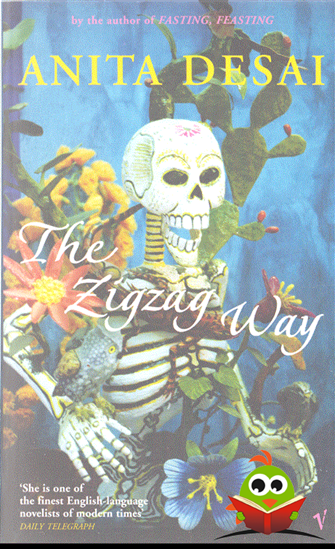 A haunting, powerful novel that culminates on the Day of the Dead, The Zigzag Way examines the subtle interplay between past and present. Anita Desai is the author of many acclaimed works of fiction, including Baumgartner’s Bombay, Clear Light of Day, Diamond Dust, and Fasting, Feasting, among other works. Three of her novels have been shortlisted for the Booker Prize. A professor emeritus at the Massachusetts Institute of Technology, she now lives in New York.